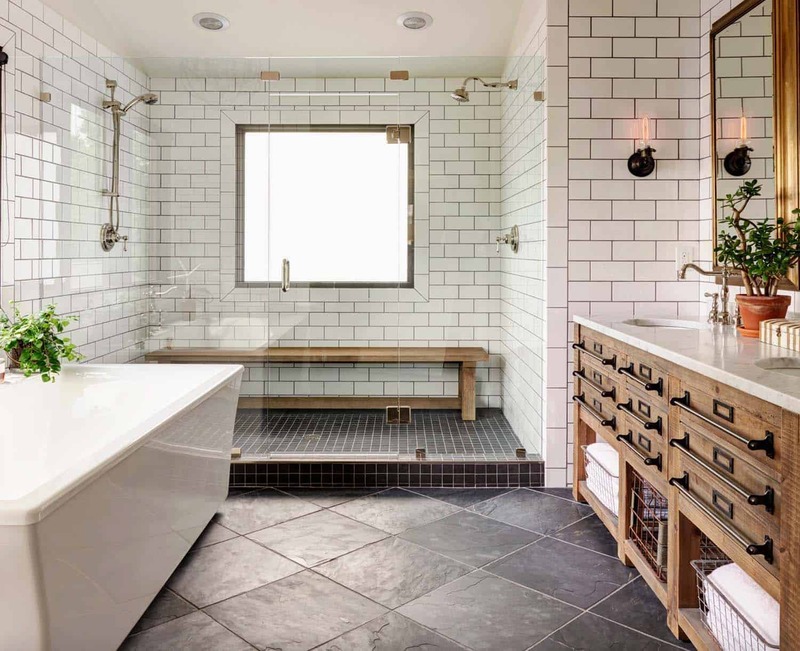 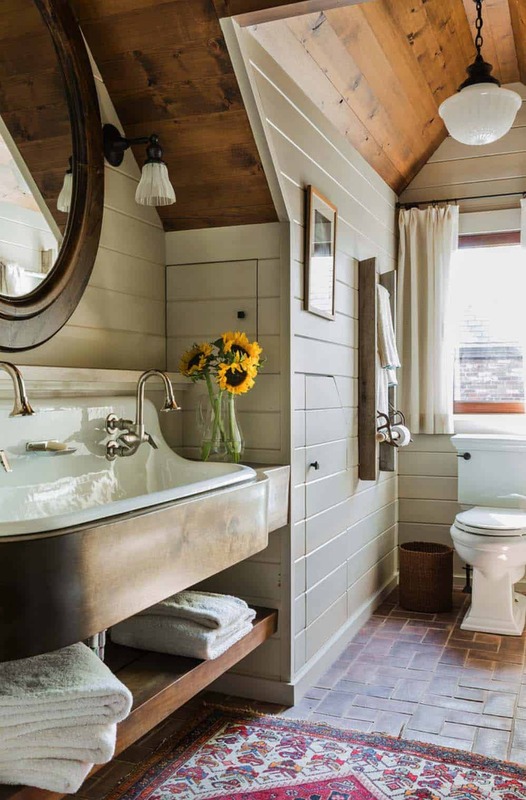 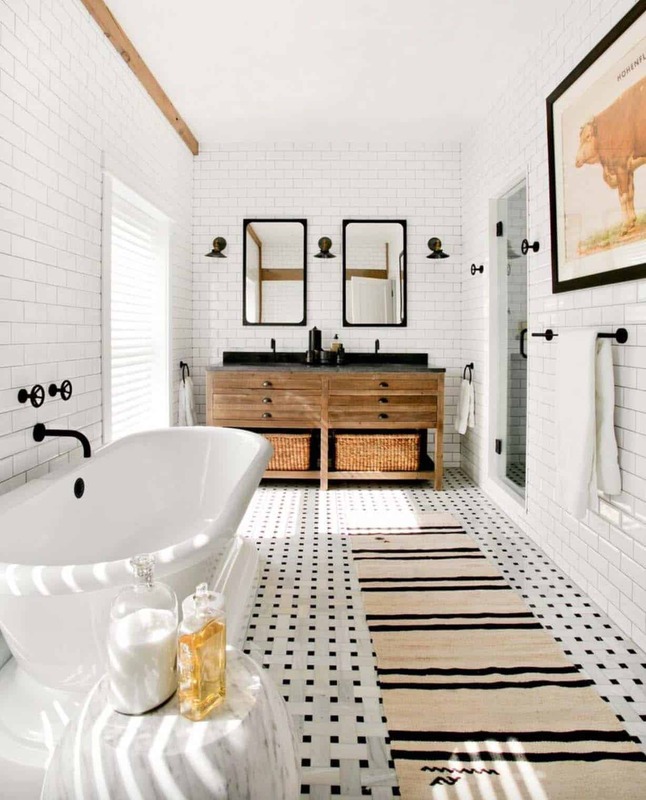 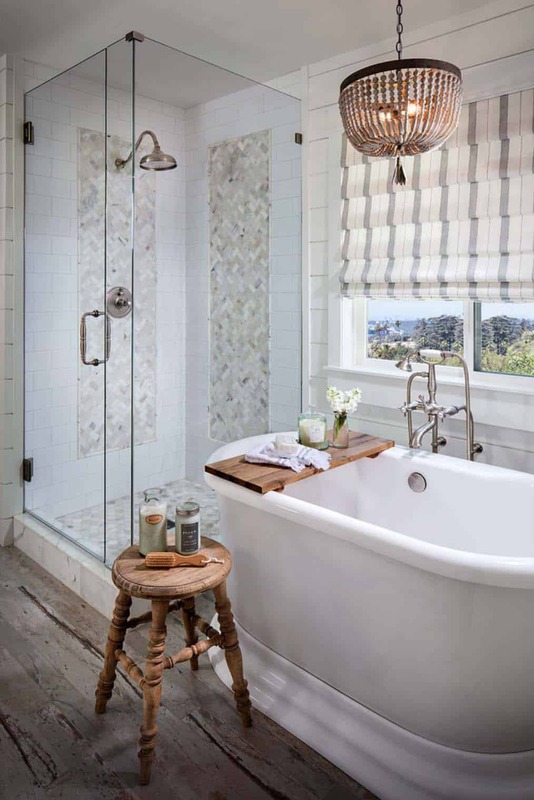 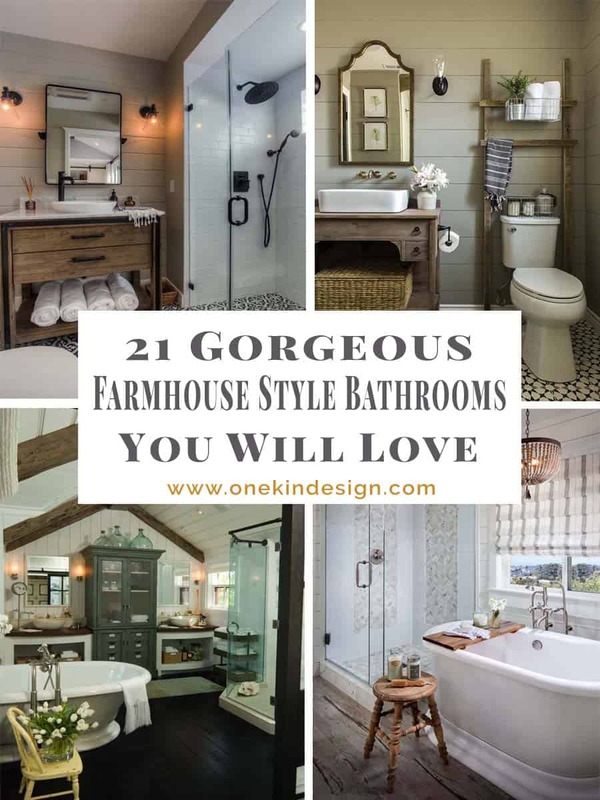 Farmhouse style is a popular design aesthetic due to its simplistic charm, warmth and earthy color palette and would look especially fantastic in a bathroom. 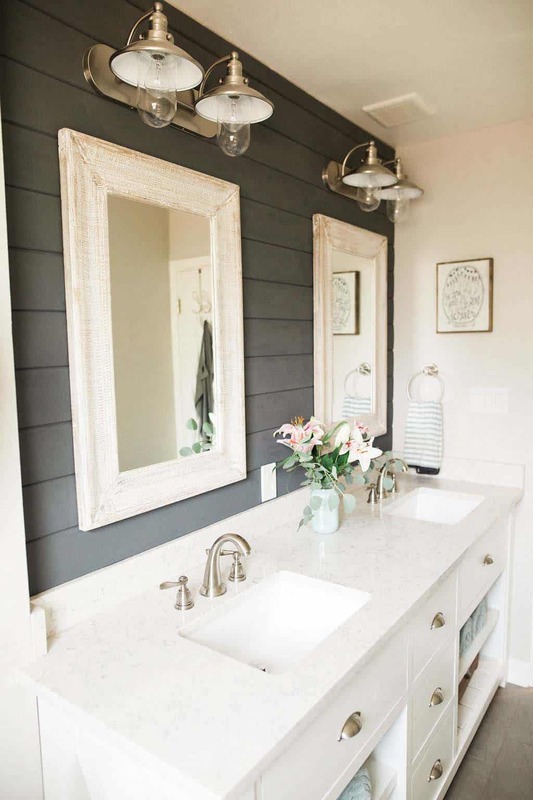 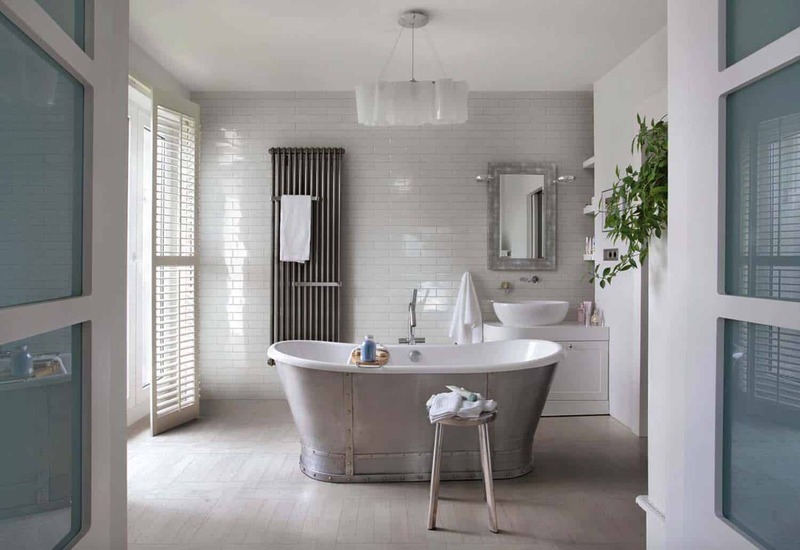 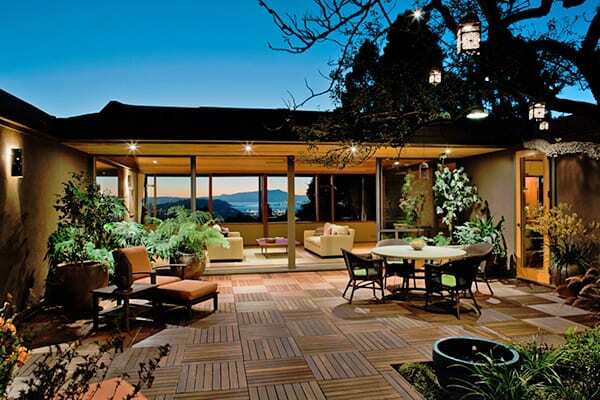 You can achieve this look by adding your own DIY touches or have a professional help you with your renovation process. 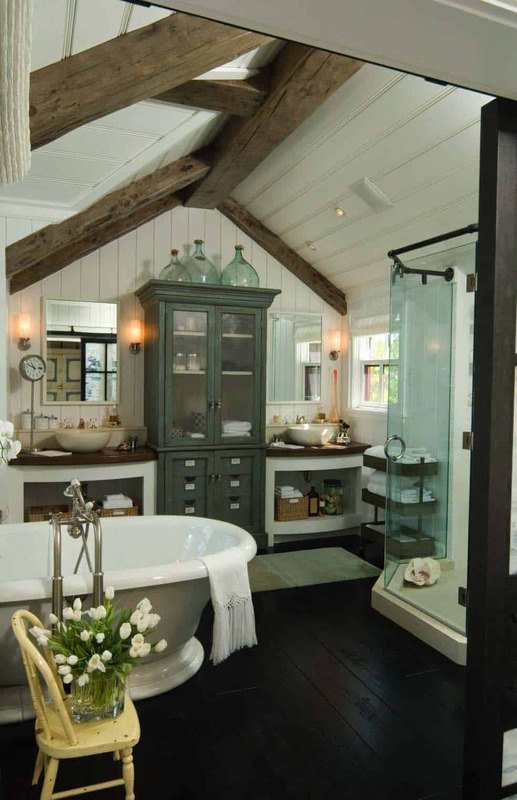 All you need is some chic accessories and fittings and touches of wood accents. 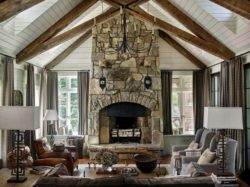 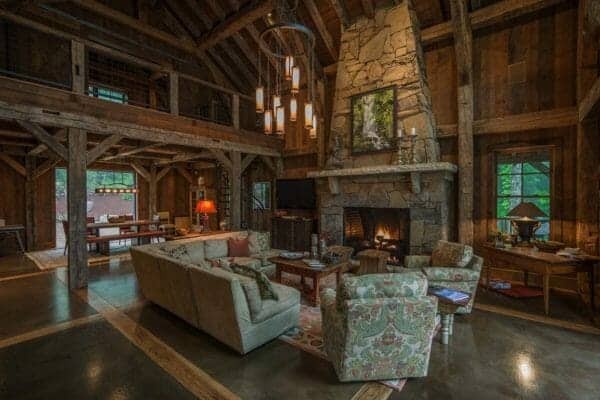 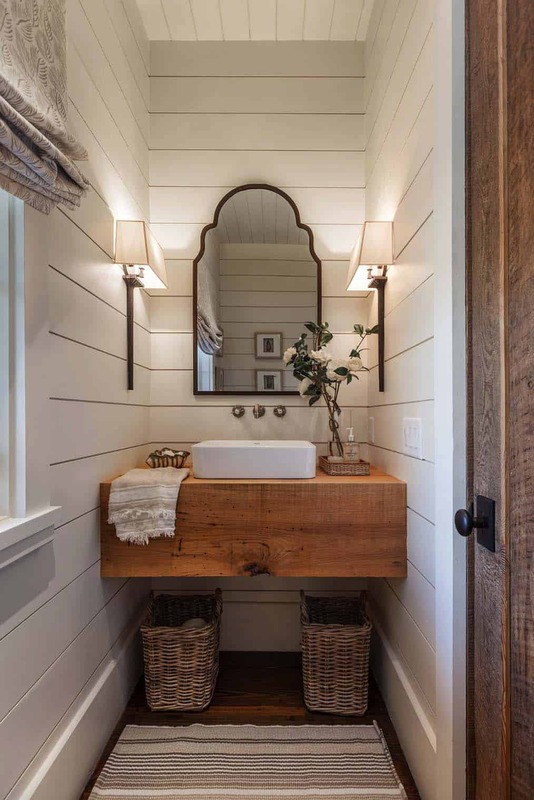 Wood flooring adds a nice rustic appeal, as does shiplap walls and ceilings. 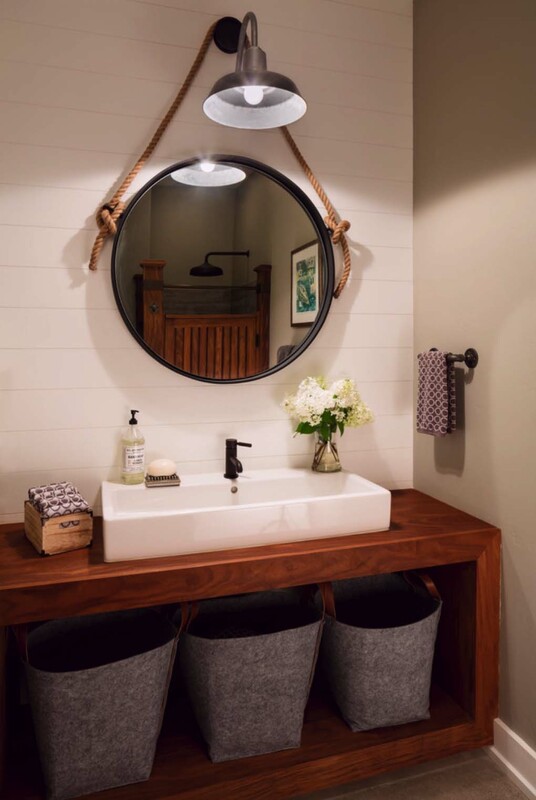 Don’t forget some fun farmhouse style light fixtures! 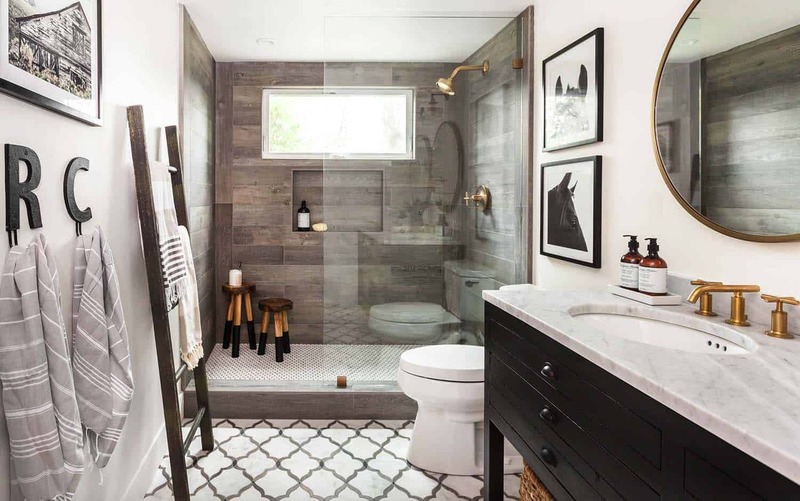 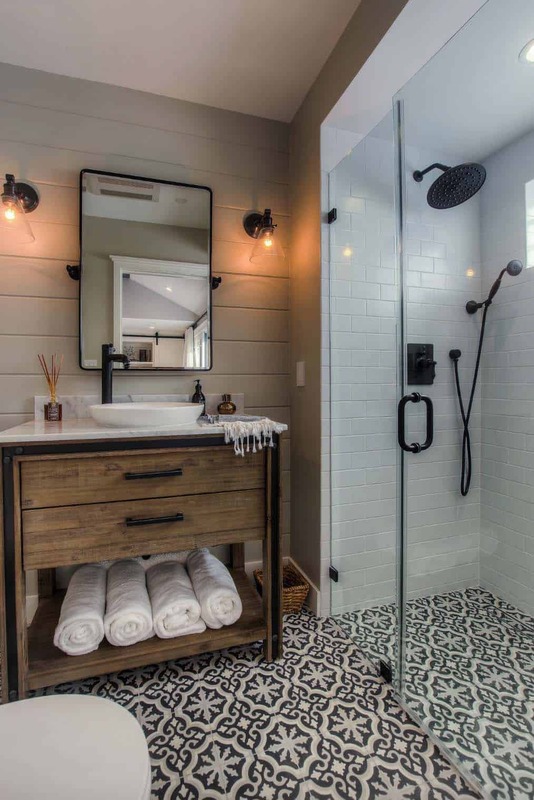 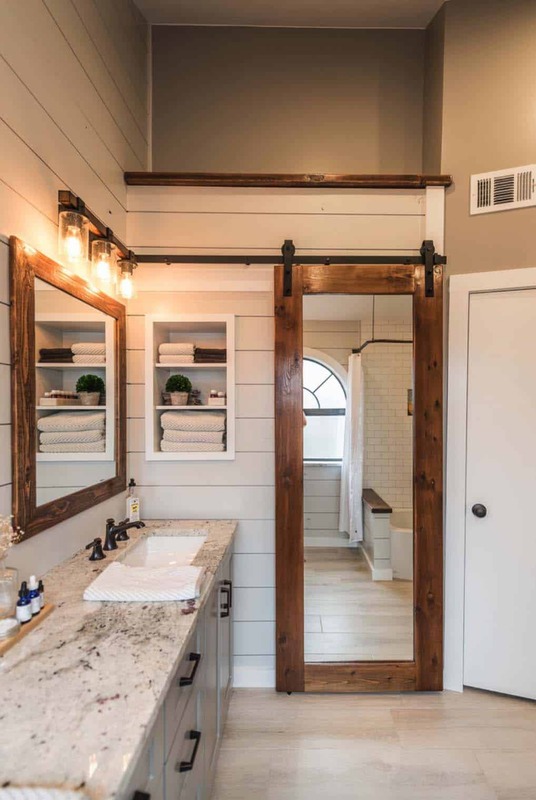 Be sure to get creative when designed your farmhouse style bathroom, such as a sliding barn door, which is perfect for smaller bathrooms. 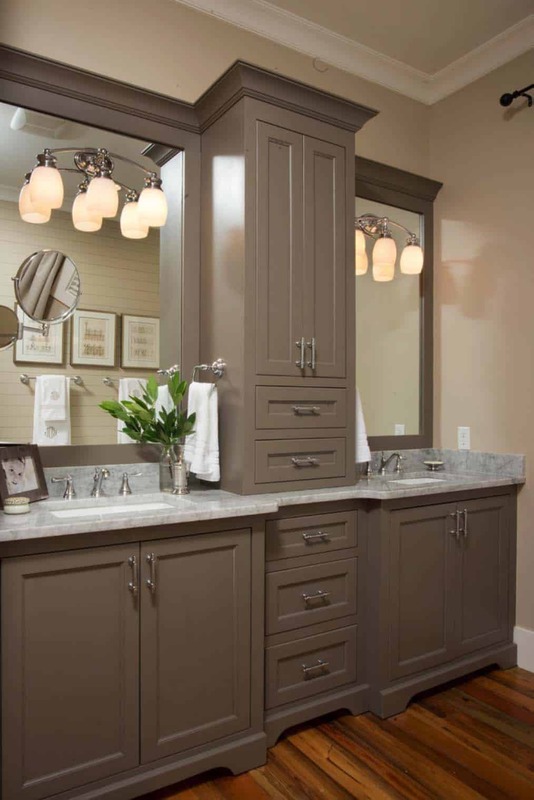 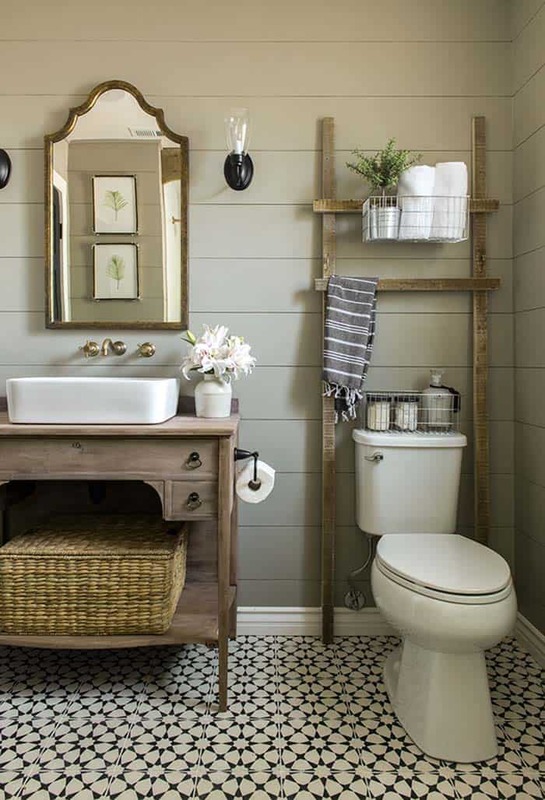 You can add salvaged finds to your bathroom, refinish furniture to use as your vanity. 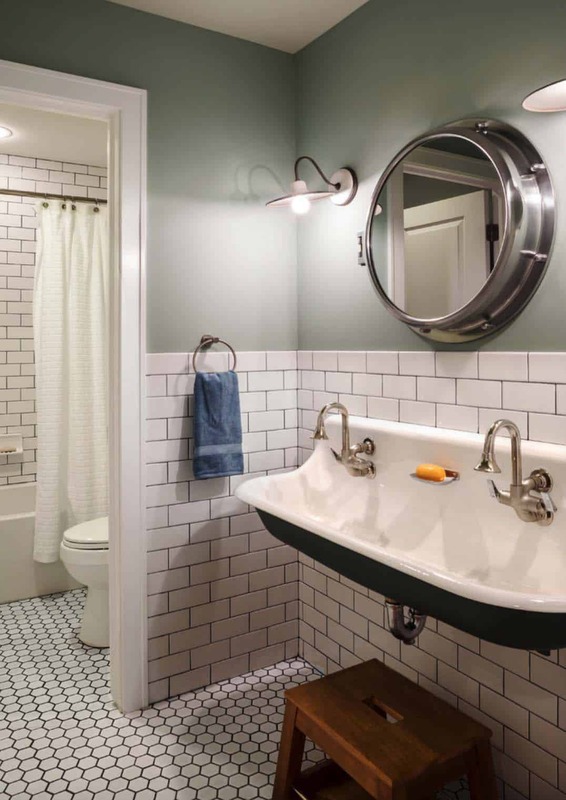 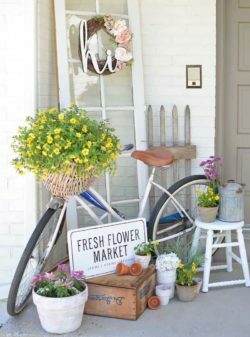 Shop at flea markets and on Craigslist to repurpose some items to use in your bathroom decor, you might even find some unique faucets or a trough sink! 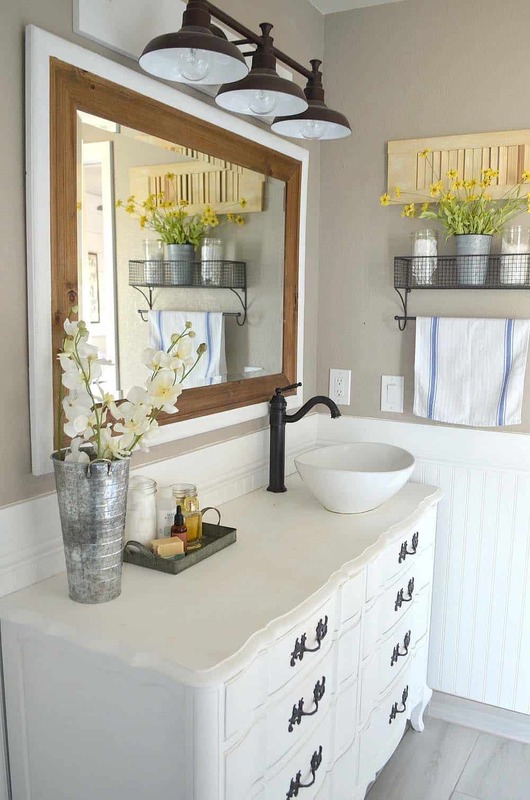 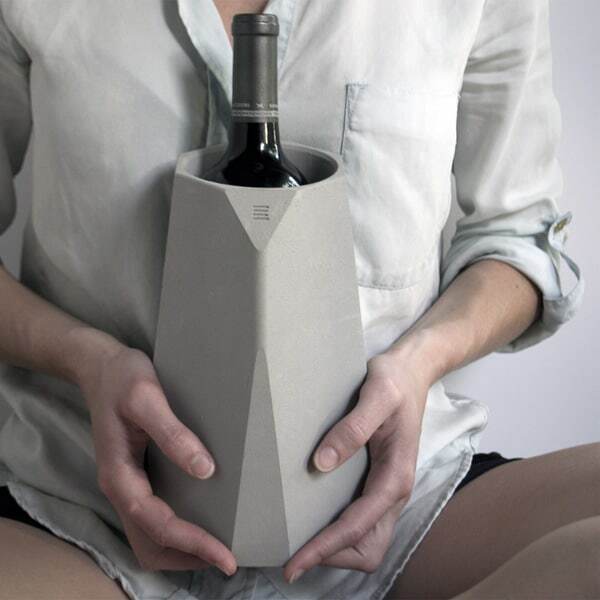 Maybe you find a galvanized bucket to use for your sink. 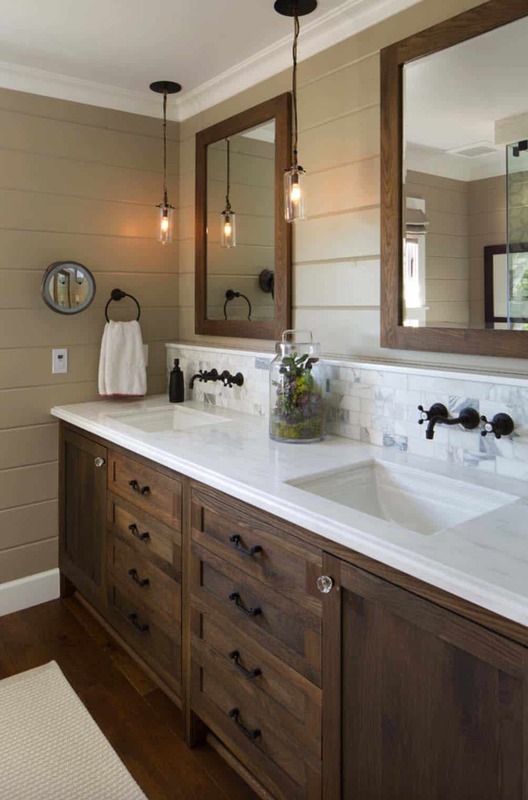 Don’t forget storage options such as wire baskets. 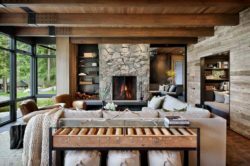 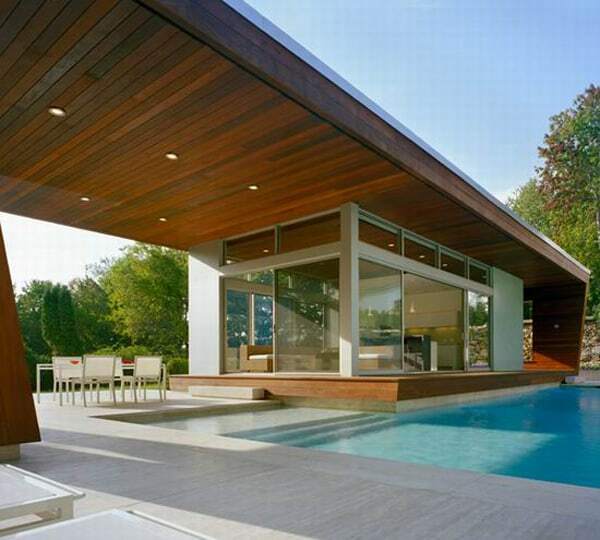 Have a look through the collection of images below for some amazing inspiration! 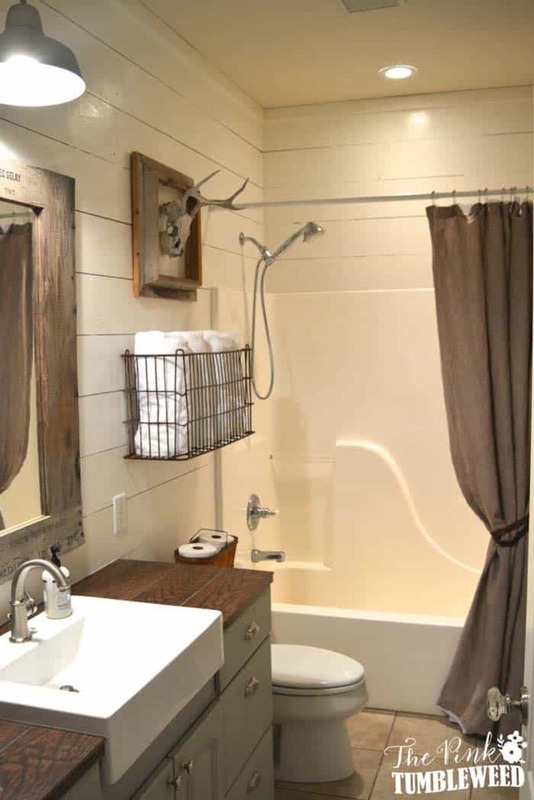 Love the farmhouse look? 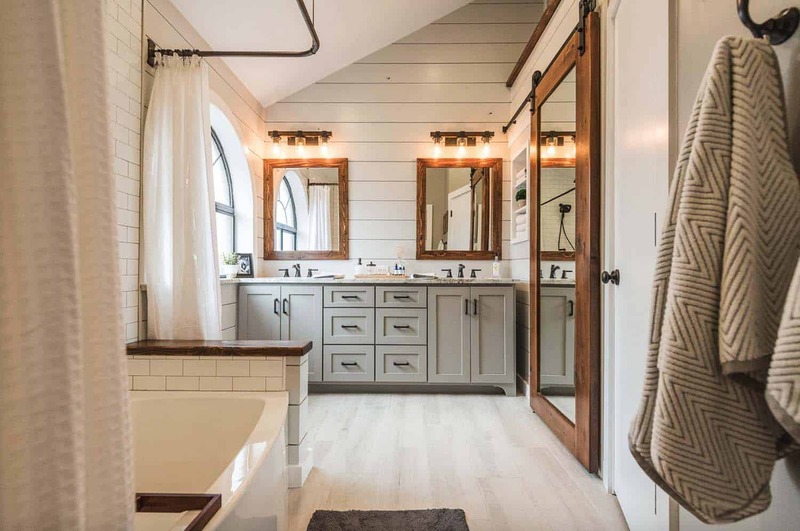 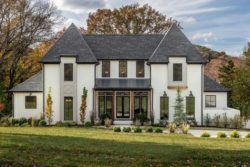 Have a look at another inspiration article we featured: 50 Ultimate farmhouse style kitchens for cooking and entertaining.